It’s now more than 10 years that the BR 01 is the emblematic model of the brand Bell & Ross, a watch inspired by aviation and now iconic. However, the brand couldn’t stay focused on a single inspiration and the creation team had to renew the concept, without burning the reasons why the brand is successful. This is the “raison d’être” of the recent BR-X1, a technical and more complicated iteration, or of the B-Rocket, a watch inspired by an internally designed motorbike. 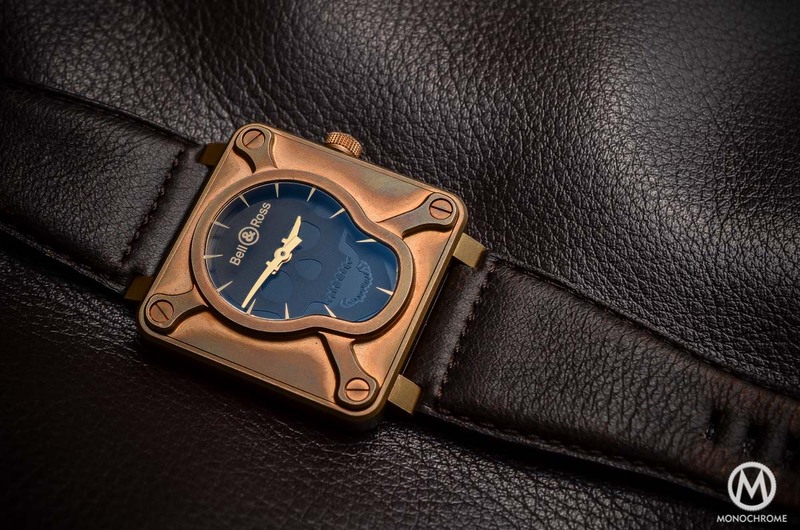 For Baselworld 2016, the B&R team again opens new horizons with a collection inspired by a racing car designed by Bruno Belamich (“the Bell” of Bell & Ross). Hands-on with the Bell & Ross BR 03-92 AeroGT and BR 03-94 AeroGT – The racing car-inspired B&R watches. Just like the B-Rocket editions that we reviewed here, the new Bell & Ross AeroGT collection takes inspiration with a concept away from aviation. 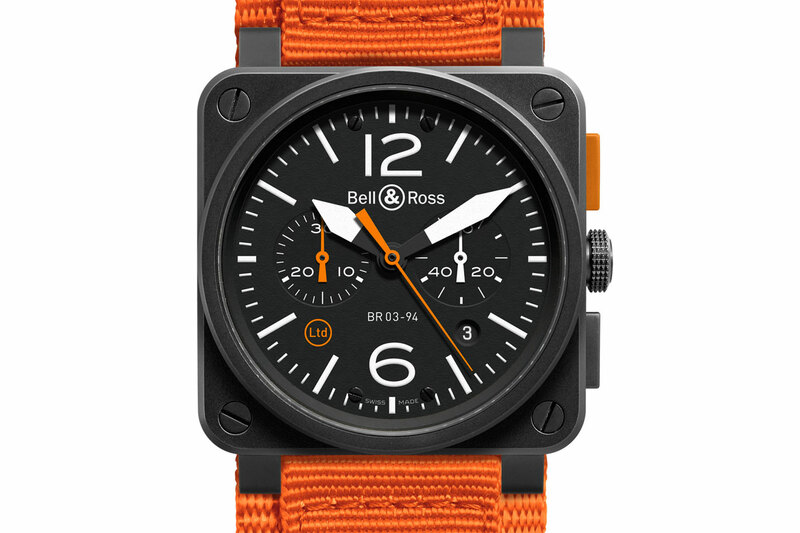 Of course, this field will remain the strongest focus of Bell & Ross for the coming years but it can’t be the only one, otherwise the brand could easily collapse from collectors’ boredom. New horizons had to be explored, without breaking the link with the army or mechanics. 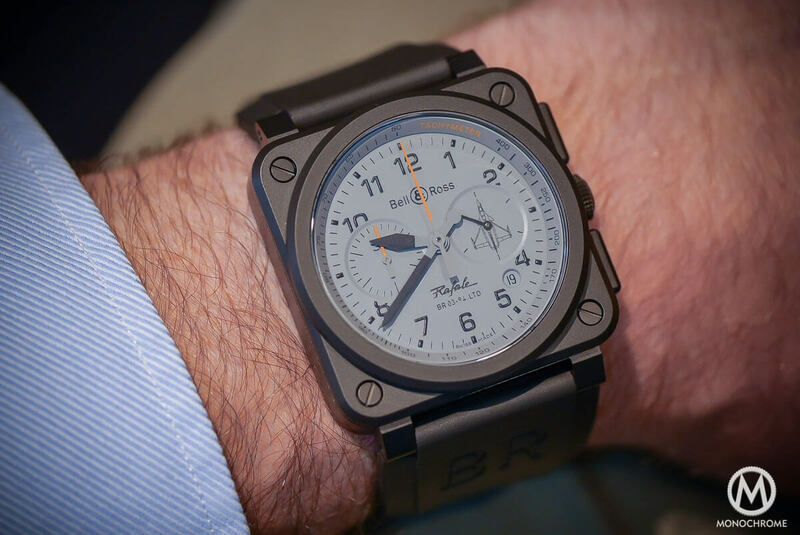 This is why a few years ago – in 2014 – Bell & Ross came out with the B-Rocket watches, inspired by an internally designed (by Bruno Belamich) motorbike. This is also why the brand is now sponsoring the Renault Sport Formula 1 team (as reported in an interview of the CEO), in order to open its potential fields of inspiration. The Bell & Ross AeroGT is in the same vein. 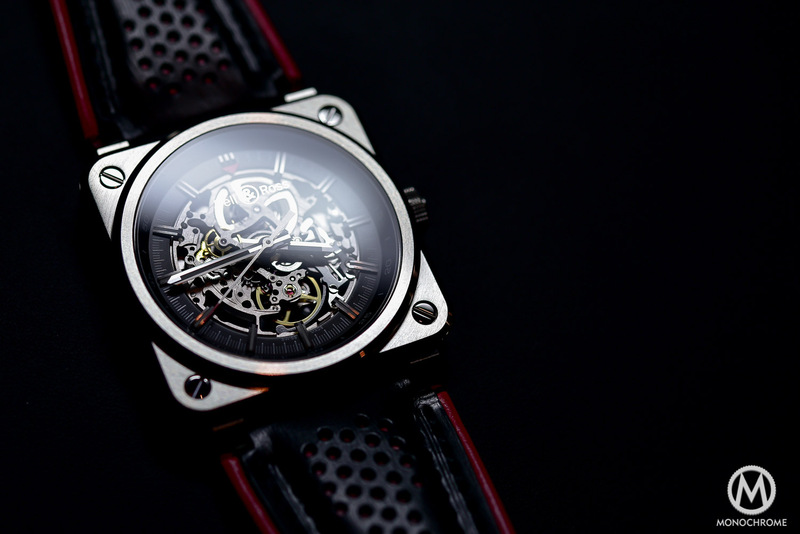 Everything started with a design, but not of a watch. The main idea was to design a car that could be the interpretation of the Bell & Ross spirit. 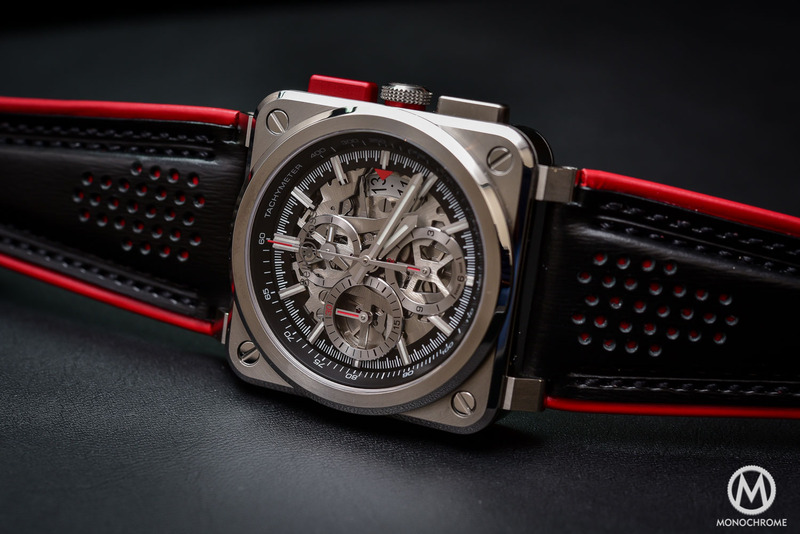 The AeroGT concept car was the starting point of the creation of a new pair of watches inspired by the automotive world – the BR 03 AeroGT models. Of course, this concept will remain a 3D sketch (well, who knows, maybe a rich collector will have the wish to build it…) however it served as a base to design the watches. This new AeroGT collection plays with textures, colours and layers in the classical squared-case of Bell & Ross, to bring some race-car spirit. 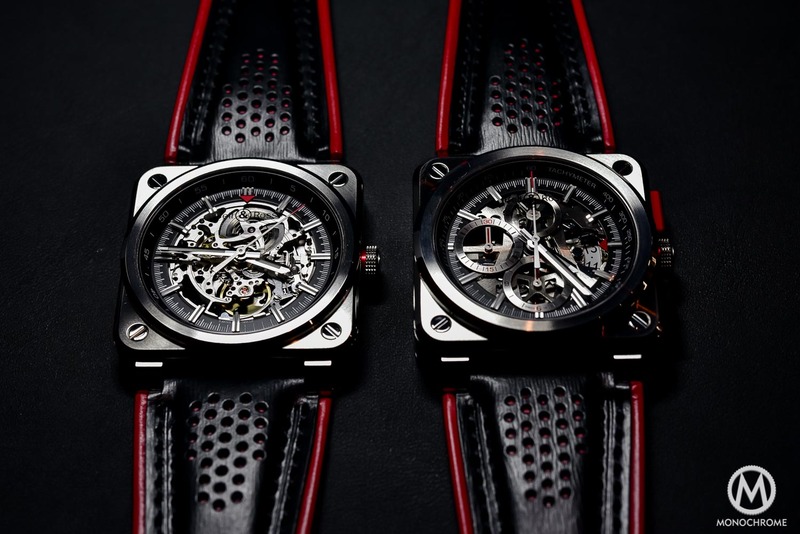 Two models are introduced, both with entirely skeletonized movements: the 3-hand Bell & Ross BR 03-92 AeroGT and the chronograph Bell & Ross BR 03-94 AeroGT. 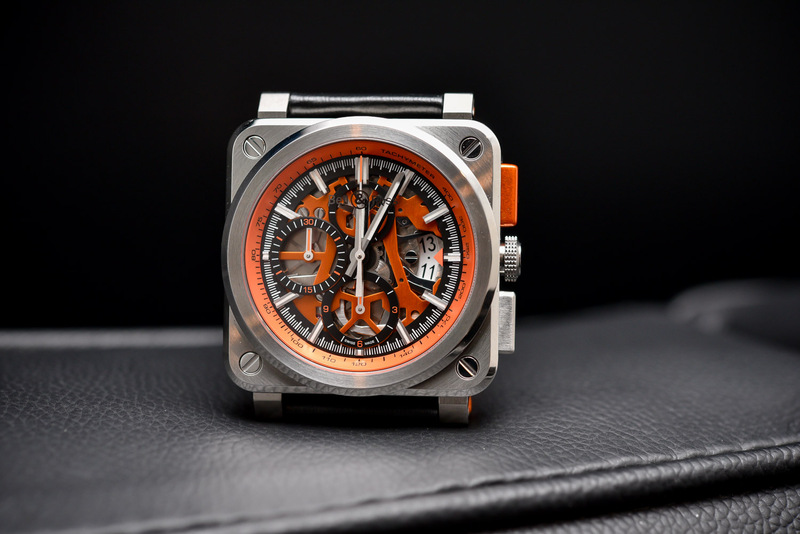 Both models come in a 42mm x 42mm case, made of stainless steel but with different finishes and surfaces than what the brand used us. If the idea of a round dial and a round bezel inserted in a squared-case is still present, the perceived quality has been improved (just like the B-Rocket editions) by adding polished bevels on the sides of the case and on the periphery of the bezel. Flat surfaces are on the other hand finished with a circular brushing. The 4 screws on top of the case are now aligned. Mainly playing on metallic colours and brushed surfaces, these two Bell & Ross AeroGT models both feature red indexes and elements inspired by luxurious sports-car. 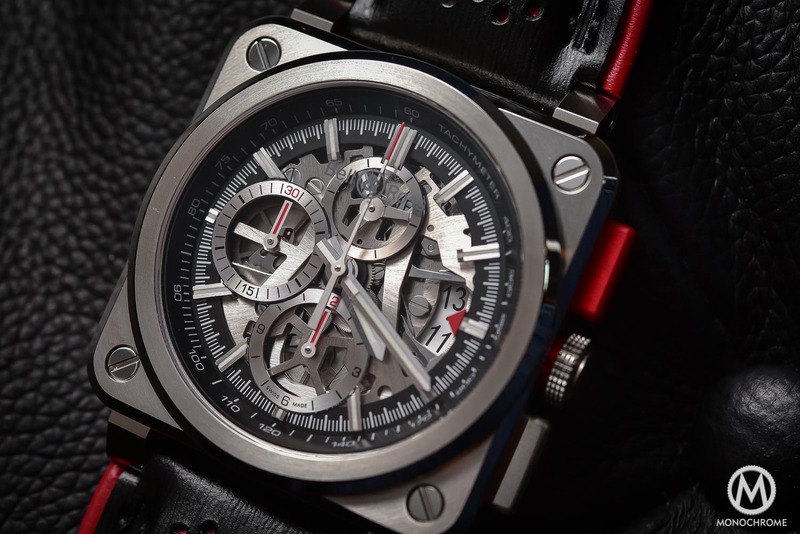 The tube surrounding the crown, the starting pusher of the chronograph, a small triangle pointing the date or 12 o’clock of small tips on the hands are red painted to contrast with the very steel-coloured cases and dials. 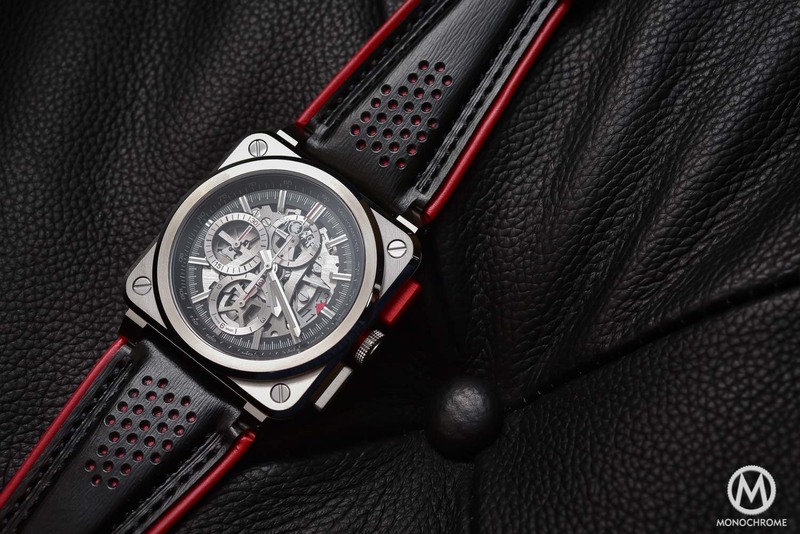 Both editions are fitted on a perforated leather strap with red lining, reminiscent of seats in high-tech sports vehicles. Their open-worked dials are formed from layers to give the Bell & Ross BR 03-92 AeroGT and BR 03-94 AeroGT an impression of depth. On both editions, legibility is conserved with tracks printed on the inner flange (with a tachymeter plus a second track on the chronograph and a second and minute scale on the 3-hand version), with a design that reminds of racing cars’ dashboard instruments. Hours are indicated by large applied indexes filled with luminous paint and so are the hands. 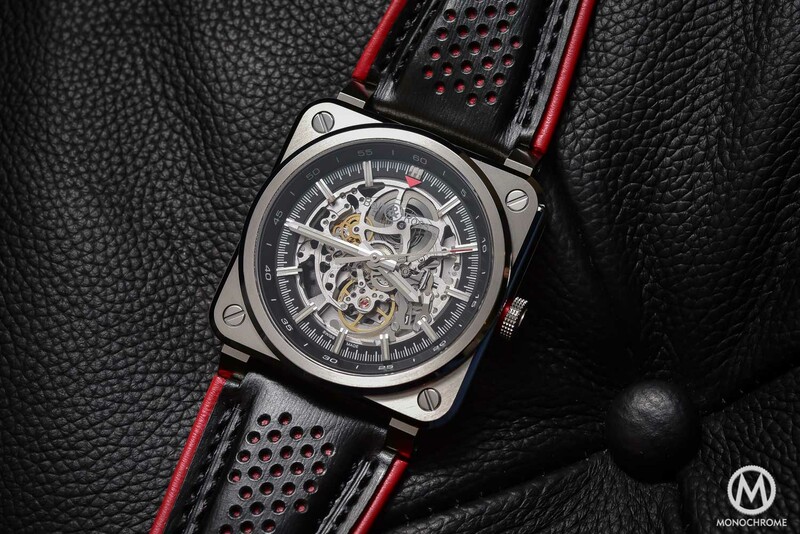 Overall, considering the skeleton movements, these Bell & Ross AeroGT watches remain clear and, mostly, attractive for mechanics’ enthusiasts, who will enjoy the view on the mechanical movements – something that the BR-X1 also emphasized, but in a much higher price range. The Bell & Ross BR 03-92 AeroGT features an automatic movement with 3 hands on the central axis (hours, minutes and seconds) and thankfully no date complication (something that could have clustered the dial). 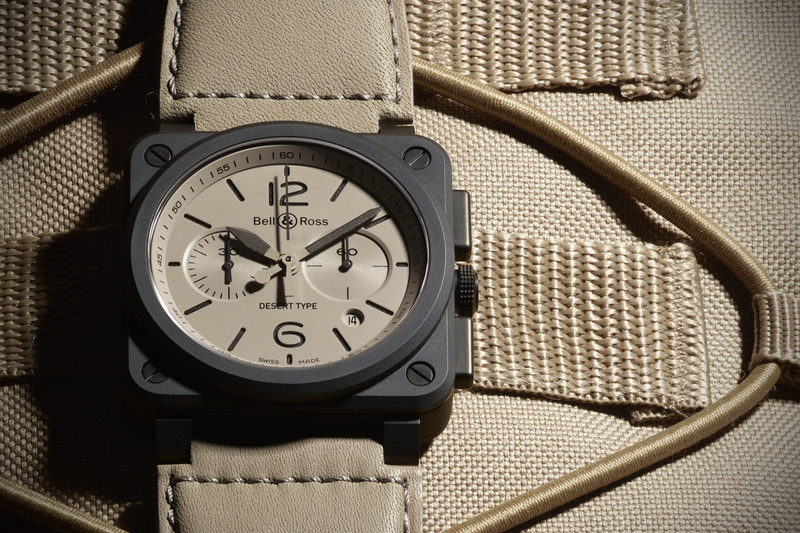 The Bell & Ross BR 03-94 AeroGT features on its side a chronograph movement, with automatic winding. 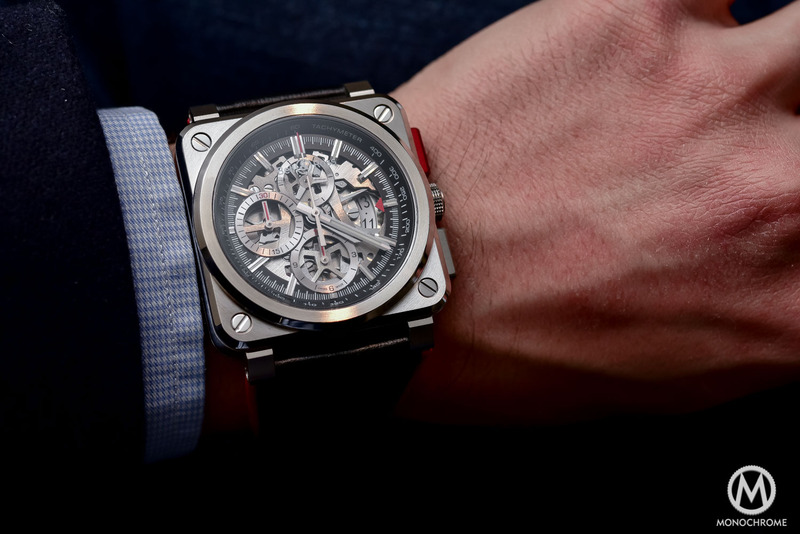 It displays the time (hours and minutes) on the central axis, a small second at 12 and for the chronograph, you’ll see a 30-minute counter at 9, a 12-hour counter at 6 and the seconds classically on the central axis. Finally, it displays the date at 3. 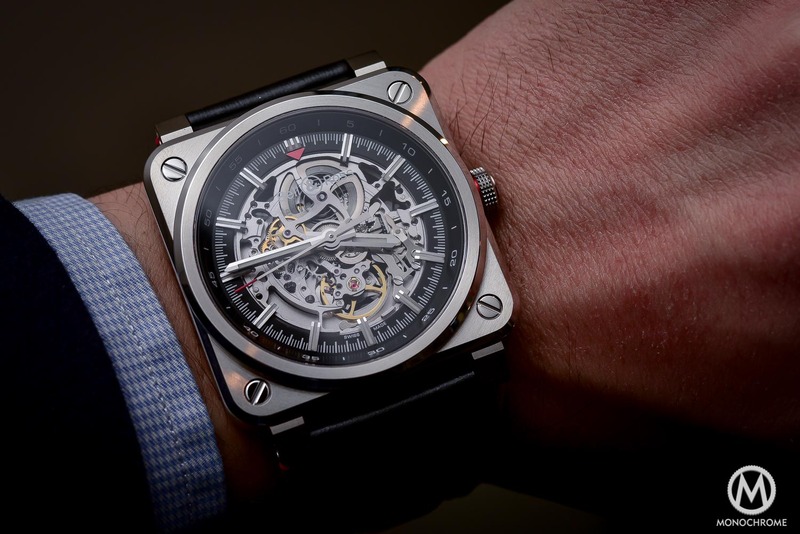 This movement is based on a modular construction – here a classical automatic movement on top of which is added a skeletonized chronograph module. Both of these watches sit quite pleasantly on the wrist, due to their relatively low dimensions (even if a squared-case always feels larger than a round case). Both of these watches will be limited to 500 pieces. The 3-hand Bell & Ross BR 03-92 AeroGT will be priced at 4,900 Euros (inc. taxes) and the Chronograph Bell & Ross BR 03-94 AeroGT will be priced at 7,900 Euros (inc. taxes). More to discover on the dedicated page, on bellross.com.